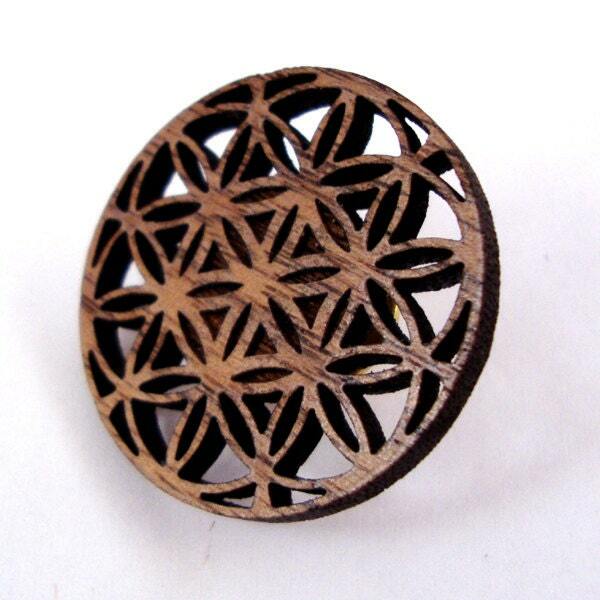 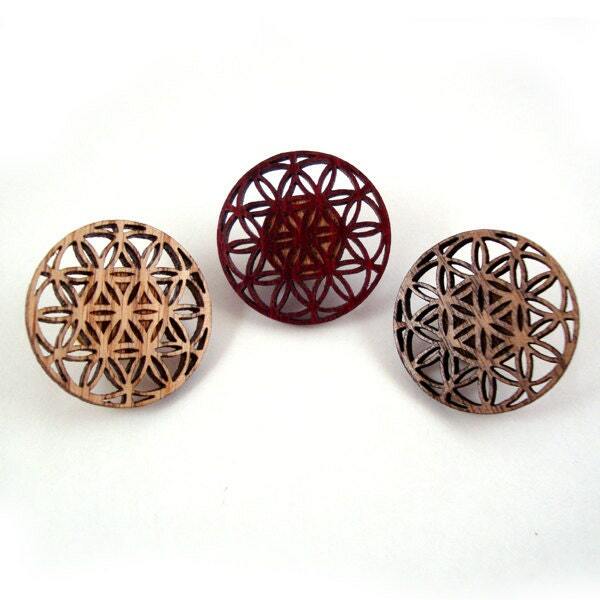 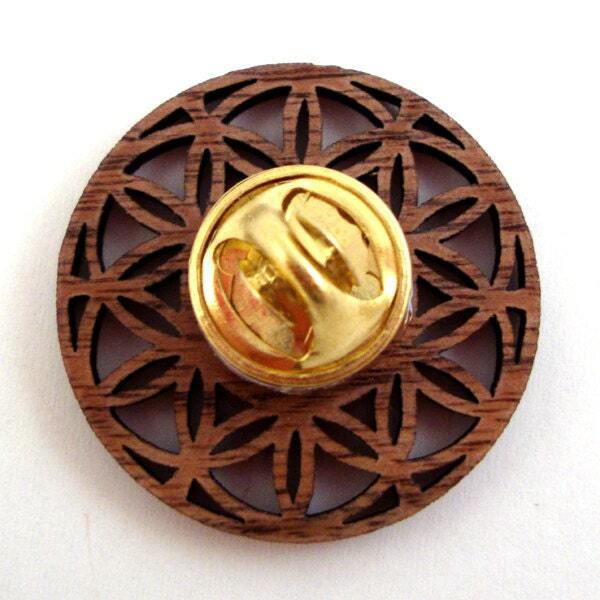 Flower of Life Pins made of sustainably harvested Oak, Walnut, or Red Stained Maple in State College, PA. 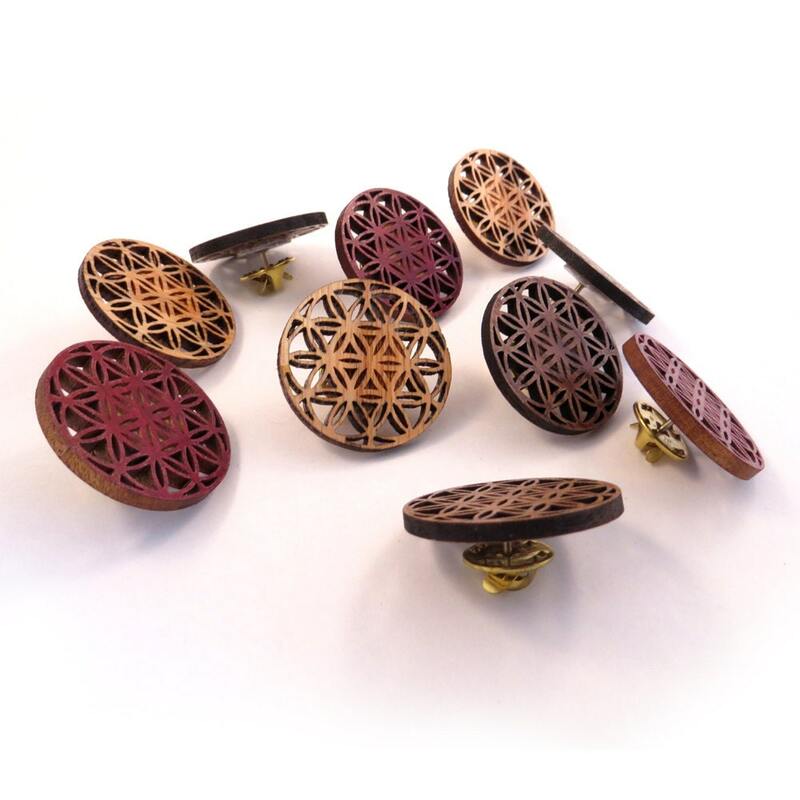 This listing is for THIRTY FIVE pins- please pick your desired wood type from the drop-down menu above the Add to Cart" button, or simply leave a note during checkout. 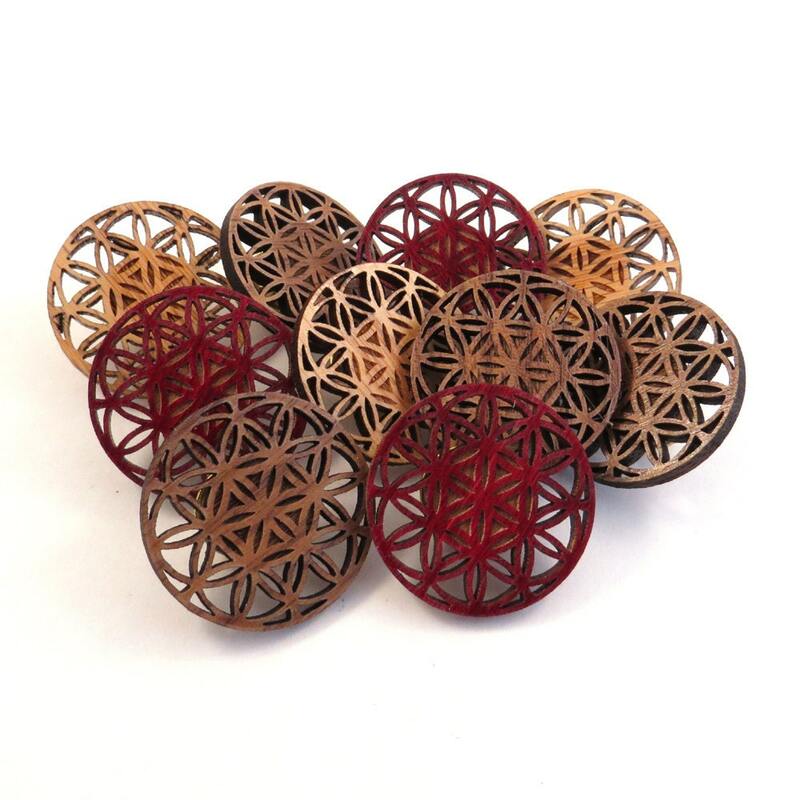 Custom Pins available - contact me for more information.